I used to loathe the idea of having to research things like weapons for my fiction. It's just not something that interested me. I'd rather just say "he had a sword," or "she pulled out a gun," and get back to the plot and characters. But I know some items, especially if they are important to the main characters, should be specific, should have names technical or given. Then one day this part of the writing process came alive for me when I applied The Legend of Zelda to it. I don't consider myself a "gamer," but there are some games that I fangirl over and have played with a deep love. Zelda is one of those. I haven't played all of them but several. 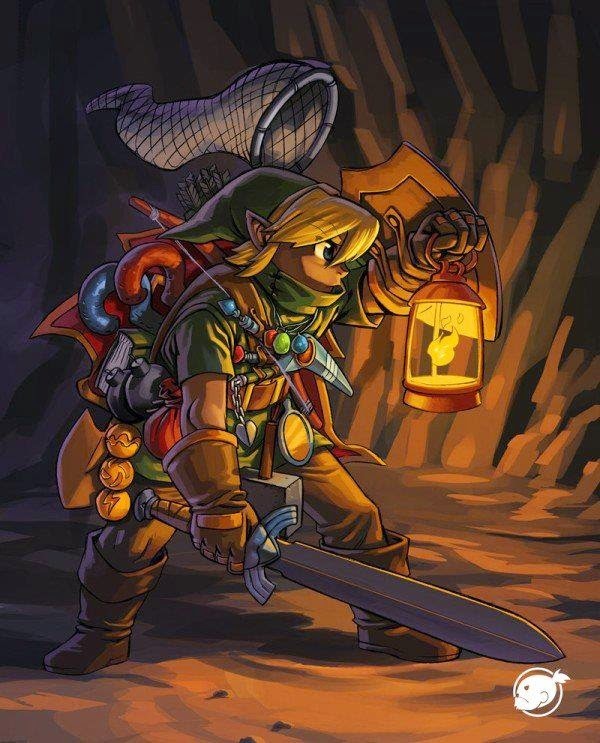 One of the coolest parts about The Legend of Zelda, is that Link, the protagonist, acquires all these wicked weapons during the course of the game. They're unique. They're personalize. They're awesome. Once I married my love for Zelda with writing, I finally gained an understanding of and appreciation for characters' items. Whether you write speculative fiction, like fantasy and sci-fi, or stick to the real world, you can get something out of this post. Even if your characters' items aren't Magical they can still be "magical," and should be. In this post I'll be talking about how to take your characters' items to the next level, what makes an item a good one, and how to use an item well in your story. But first, lets talk about the different kinds of items your character might have, both fantastical and realistic. Okay, these things are obvious. They're your guns, swords, axes, bows, maces, knives, wands, lightsabers. They're objects your character (usually) holds that are capable of harming another person either offensively or defensively. 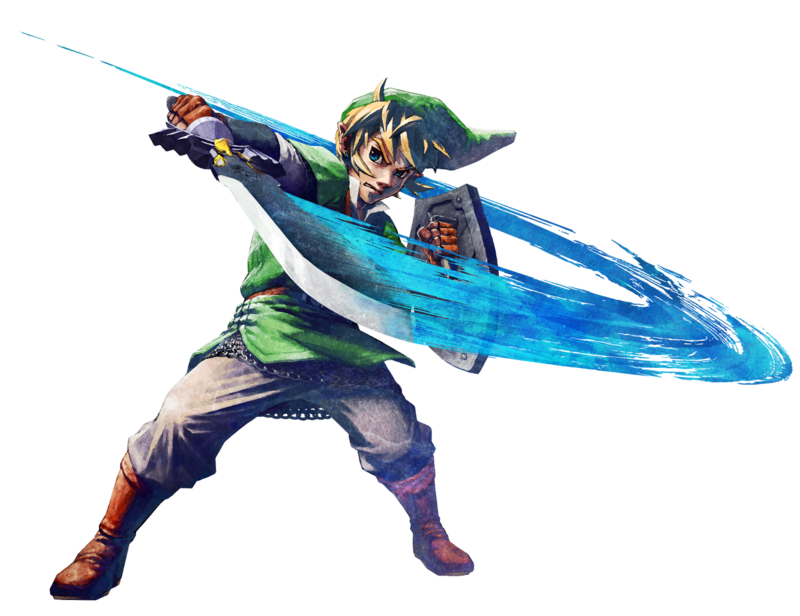 In Zelda, Link has a ton of different weapons, but the one he uses most is his sword. 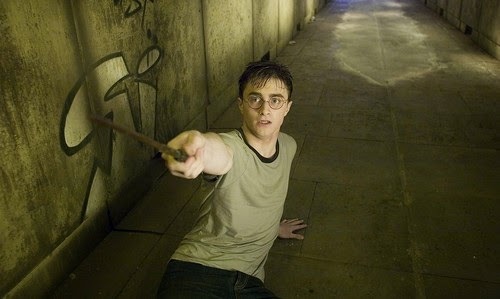 In Harry Potter, we have wands. This category relates to everything your character wears. And that's not just clothes. Some attire might be more important than others. Link wears different kinds of tunics that suit certain situations. One, for example, is heat-resistant and allows him to go inside a volcano. But he also has different kinds of boots. He has boots that let him hover for a short period of time. And boots that are magnetic that let him walk upside and sideways. In one game he has a bunch of masks that give him special abilities, sometimes making him transform into another creature. 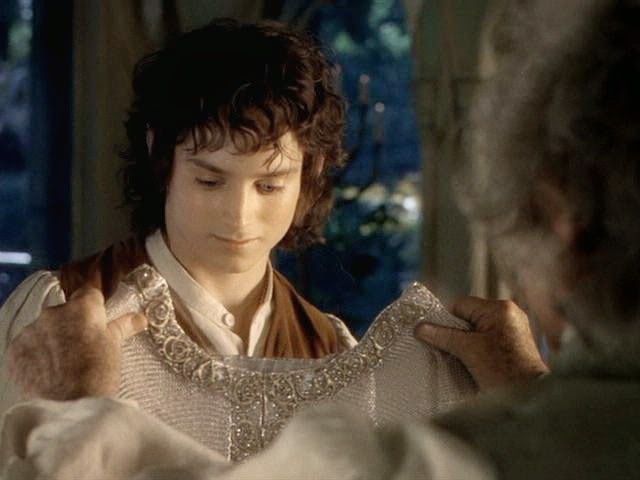 Frodo wears mithril as an armor and an elven cloak that helps him camouflage. 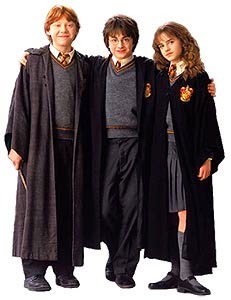 In Harry Potter, they wear special robes for their school uniforms. There isn't anything magical about their school uniforms. They aren't any more magical than ours, but they have meaning and purpose. 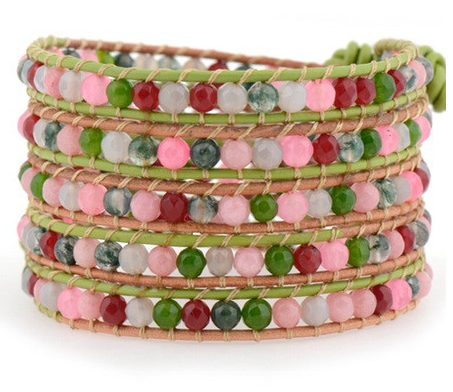 In Shallee McArthur's upcoming novel, The Unhappening of Genesis Lee, her Mementi characters wear bracelets that store their memories. These may or may not be real potions, depending on your story. But for my categorization, a potion is anything that a character ingests, injects, or takes that alters their normalcy. 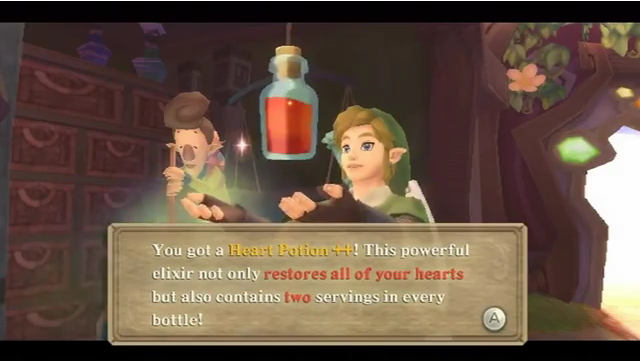 So in Zelda, Link can purchase potions that heal him or make him stronger. He can also ingest things that hurt him. In Harry Potter, we also have real potions that do all kinds of things. 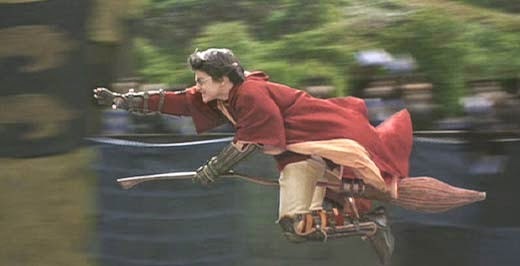 Felix Felicis makes one lucky. 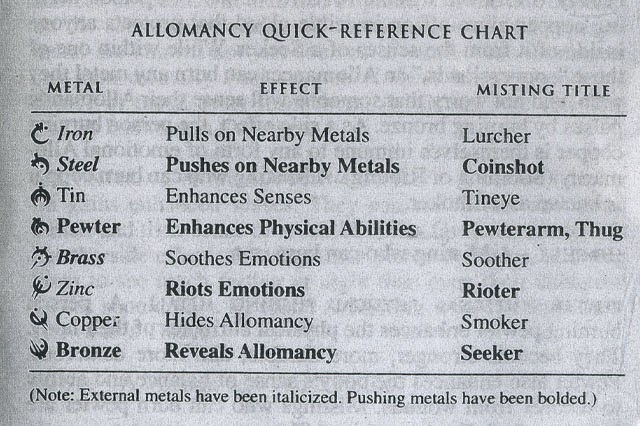 In Brandon Sanderson's Mistborn series, characters ingest metal to get super powers. In Divergent, characters use serums to create illusions and manipulate emotions. If you don't write fantasy or science-fiction, you might be thinking, "Yeah, but the real world doesn't have potions." Sure it does. Alcohol, drugs, even things like caffeine might qualify, but unless your characters are getting high or getting really drunk, this category might not be that important in your story. Tools are different than weapons because they don't harm people. They help characters on their quests. So one tool Link has is a lens that lets him see through illusions. 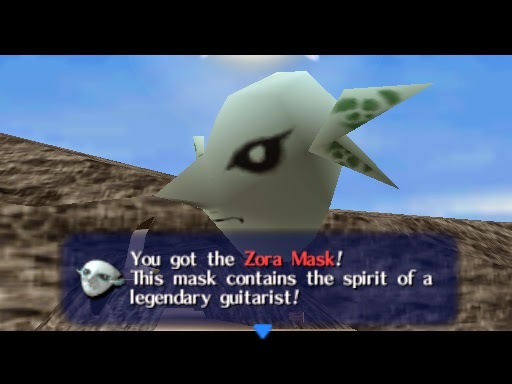 But he also has a ocarina that casts spells of sorts and can even turn back time when he plays it. 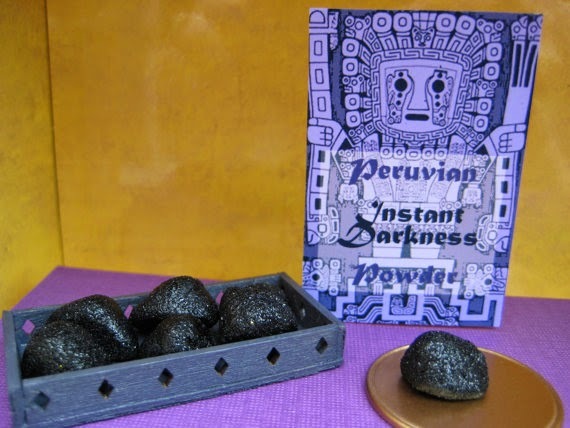 In contrast, the Peruvian Instant Darkness Powder in the Harry Potter series casts complete darkness. 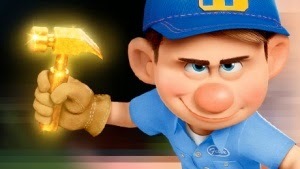 In Wreck-it Ralph, Fix-it Felix's hammer is a tool. While steeds aren't always "items" per say, they are things that characters use. A "steed" is whatever your character has that she can ride on or in. 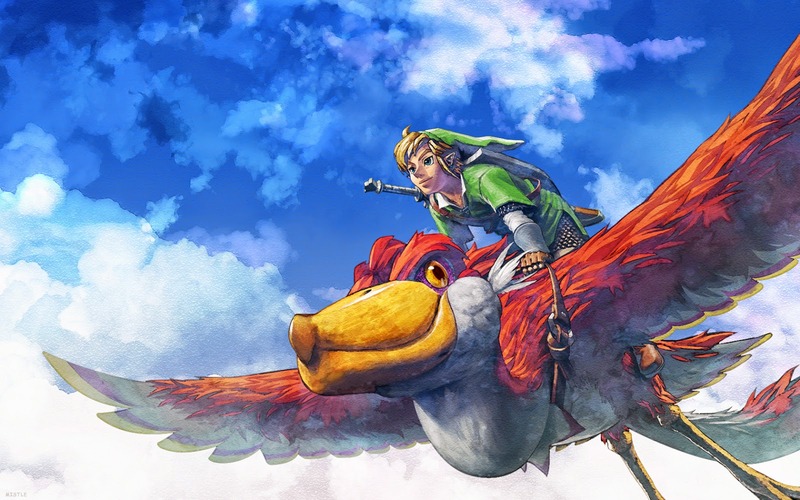 Link has a horse in many Zelda games, but in one he has a bird. 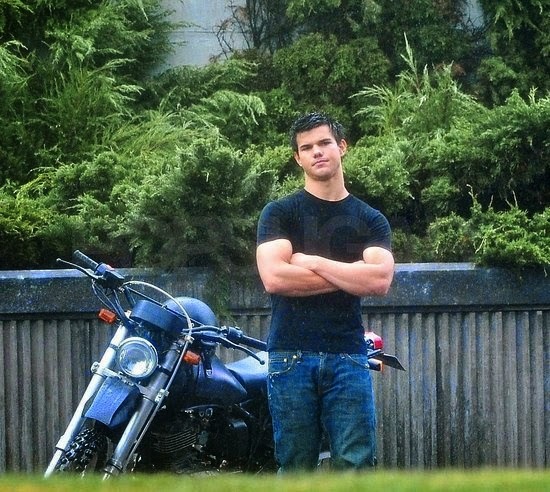 In Twilight, Jacob Black has a motorcycle. 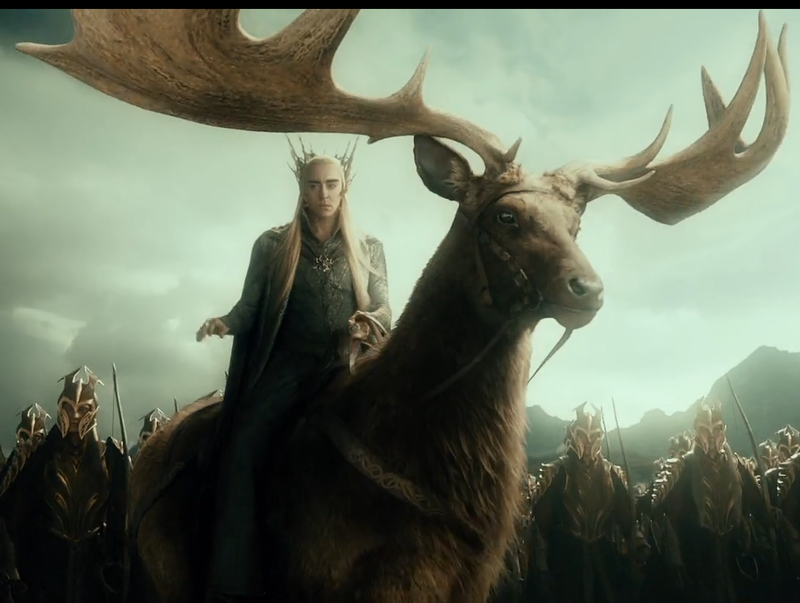 In Middle-earth, an elf might ride on an elk. In writing, I often think of how your story, setting, and heroes should either be relatable or wish-fulfilling. We like reading about people that are like us. And we like reading about people that we wish we were. Okay, there is a third category: people we neither relate to or wish we were, which is harder to pull off, but still possible if it's alien in a way that shocks and fascinates us. The dystopian setting fits into that, for example. Generally speaking (there are exceptions to everything), when it comes to our characters' items, there is one category they should fit into: wish-fulfillment. Your characters' weapons, attire, potions, tools, and steeds should have a cool factor. They should make us wish we had them. That's the first step to taking them from ordinary to awesome. You make your item extraordinary. 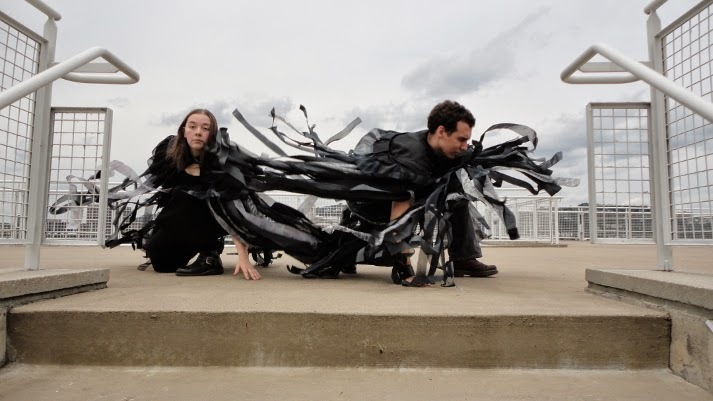 In Brandon Sanderson's Mistborn series, his protagonist wears a mistcloak. A regular cloak is kind of cool, but we've all seen them before. But a mistcloak is cooler. Its fabric is cut in long strips, so that when the protagonist leaps and fights and runs, it looks awesome. It has a cool factor. He took something ordinary and tweaked it to make it extraordinary. But you can do this with even real-world items. 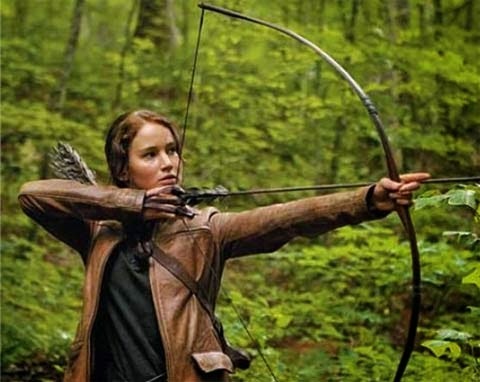 In The Hunger Games, Katniss and her bow were so cool, that fans wished they did archery. Once that series got big, sales for bows and arrows skyrocketed, especially for women. You can find articles written up about how interest in archery went off the charts. In this example, the item is something ordinary, something we have today, but what's interesting is that it's Katniss's skill that makes it cool. You can find commercials, like this one, where the product was directly made to fulfill the wishes of Hunger Games fans. Watch it and see how Nerf is targeting the young female archery audience. It shows a girl with hair and clothes like Katniss running through a forest, with a Nerf bow called "Rebelle." Could they be anymore obvious? Business-wise, it was a smart move on their part. This brings me to a special test I call the "Merchandising Test." 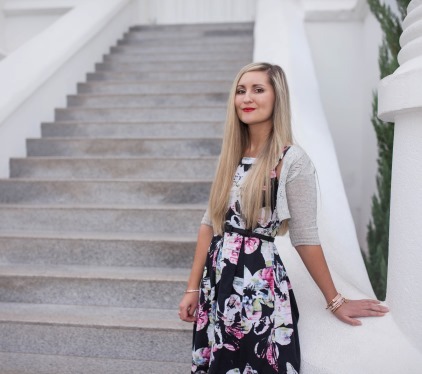 Look at the special items in your story and ask, "Do I wish I could buy this?" If the answer is yes, then you've got something that fits on the cool side of the scale. Another way to ramp up the cool factor is to make your characters' item very valuable. Maybe it's valuable because it's rare--there are only a few in existence, or only one in existence, like the Elder Wand in Harry Potter. It could be valuable because it has a high cost. Maybe on the monetary level, the item is very expensive, so it's special, like a designer ballgown. Or maybe it's not monetary cost so much, but a sacrificial cost. Your character had to venture through a jungle and fight monsters to get it, or it took years to make. It might be valuable because it's necessary for your character's survival or quest. It's the only way your character can achieve something. 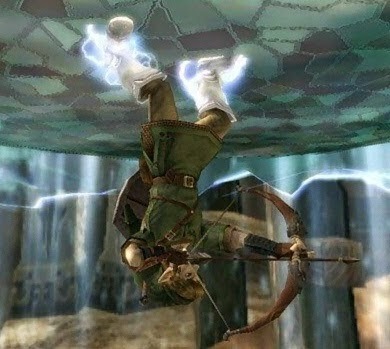 Sometimes in Zelda, it seems the only way to beat a villain is if Link has potions that revive his very life. 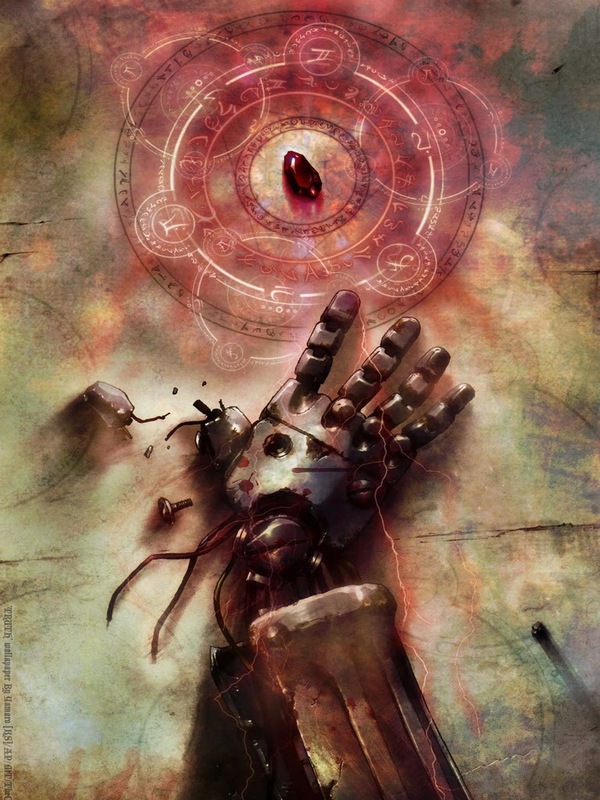 In Fullmetal Alchemist Brotherhood, the philosopher's stone fulfills all these. Philosopher's stones are rare, they have a high cost because one must sacrifices hundreds of human lives to make one, they're valuable because it's the only way, the protagonist can save his brother's impeding death and heal himself. You can make any item special by personalizing it. In Mockingjay, Katniss gets a special bow specifically designed for her that responds only to her voice. 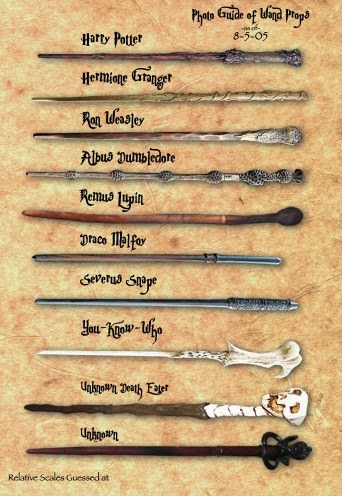 In Harry Potter, each wand is personalized to fit its character, in length, wood, and overall appearance. You can personalize items by giving them a history (that includes or doesn't include your character). In Zelda, Link has a personal history with his horse Epona. In one game, he meets the horse when they are both children at a farm. When he grows up, he has to win a race to keep her. 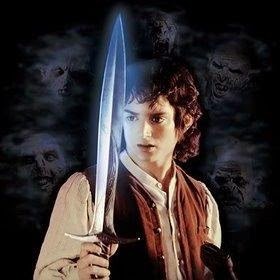 The sword Frodo gets from Bilbo has a history from its days in The Hobbit. It even has a name, Sting, and a story of how it got that name. So you can make certain items personal by giving them names. Most weapons in Middle-earth have names and histories. Maybe a name like "Sting" would sound goofy for your item, but it still needs a name, for specificity. 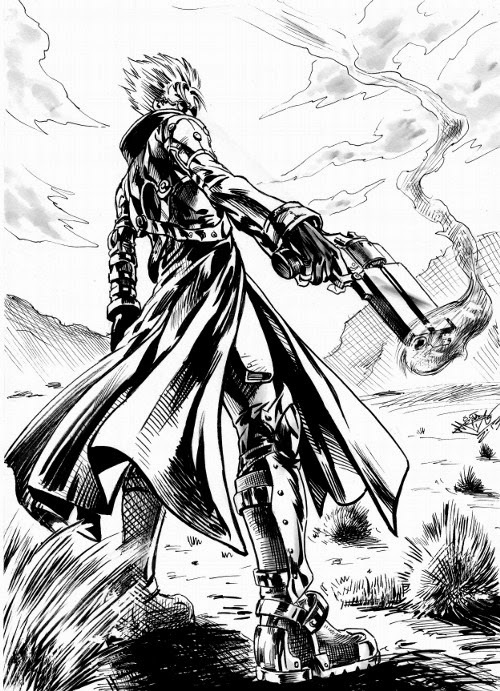 Vash from Trigun doesn't just have a gun, he has a long colt. Meryl doesn't just have a guns, she has derringers. Make your item more personal by giving it a personality. Not all horses are the same. (Link's horse loves carrots, but if he demands too much of her, she can get annoyed.) Neither are all motorcycles the same. Even inanimate objects can have "personality." My parents have four-wheelers that will shut off if you aren't always tapping the gas. In Harry Potter, Rowling gives her potions personality by describing their shades, smells, tastes, and consistencies. Some potions need to be cared for in special ways. Her wands in particular have their own personalities. Your character can take an item and find some way to make it her own. Maybe she takes her tool, a calculator, and bedazzles it. Maybe he alters his weapon to suit his fighting style. Or maybe she hangs a dream-catcher in her car. Make it special by just giving it detail. In The Hunger Games, when Katniss first gets her Mockingjay pin, Suzanne Collins spends a good paragraph describing it in detail, to the point that the pacing slows for a bit. The detail makes it real and special. 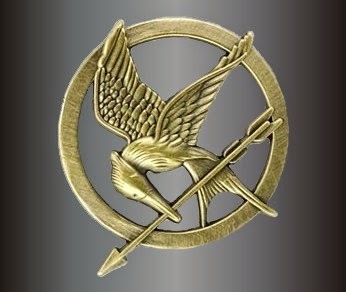 Obviously Katniss's Mockingjay pin becomes a symbol for her on a personal level, for the country on a public level, and for the reader on a thematic level. 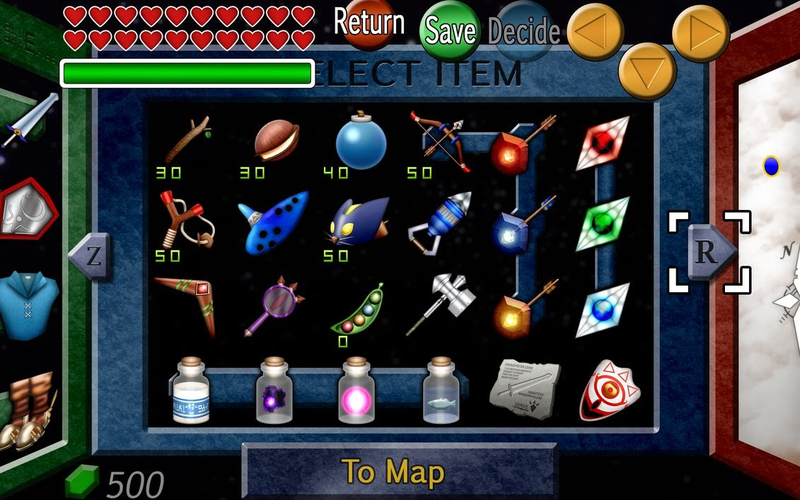 Take your item to the next level by making it a symbol, on any or all of those levels. Maybe your character's dirt bike embodies his thirst for freedom or adventure. Maybe it's a symbol of immaturity to his girlfriend. Attire in particular can be very symbolic, Many uniforms have pieces, badges, or the like as symbols. In Trigun, Vash's red coat is symbolic of several things in a sort of symbol pedigree. It's red because it refers back to red geraniums, which refers back to his mother figure named Rem, who told him red geraniums were her favorite flower because they signify determination. Captain America's shield is obviously symbolic of the U.S.A.
Potions can be symbolic. Maybe a certain wine signifies a funeral or alcohol signifies giving up. Think about it. Magical or "magical" items should not be "stock" items. They should not be used as stock items. They should be unique with special skills and purposes. Link has a red tunic, but it's not just a red tunic. It's a heat resistant tunic. It's special. There are places he can only get to if he wears it. 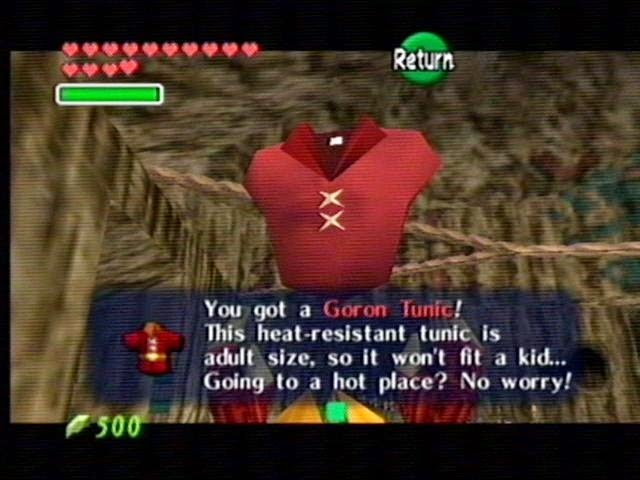 But imagine instead he finally got this neat heat resistant tunic and only wore it once in the game, one time when he visited the local market. Huh? Bit of a letdown, right? Your magical items should have a role in your story that only they can fulfill, a task only they can complete. So, of course, the only way for Link to journey into a volcano is if he has his red tunic on. I know that sounds obvious, but it's because I'm using an obvious example. It's not always that obvious in your own writing. If your character uses a special science fiction gun, she shouldn't just use it as a regular gun in her action scenes. That's like Harry Potter using the Marauder's Map only to find his way around Hogwarts. Instead, create action scenes and situations that only the special part of this sci-fi gun can get your character out of. If it's not a stock weapon, don't use it as one. Show us its special abilities. That's another way to take your characters' items to the next level. So Harry uses the Marauder's Map to try to catch Malfoy in Half-Blood Prince. 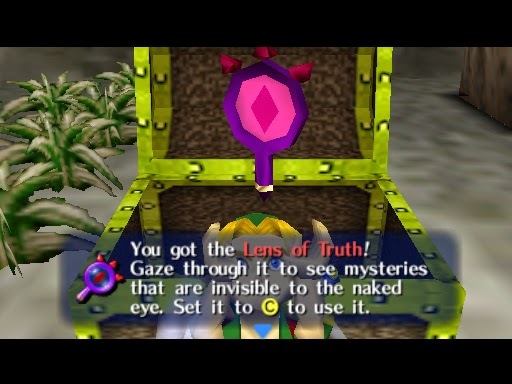 Remember Link's tool, the Lens of Truth? Well, the game is set up so that on a certain level, you can only get through that level by using the Lens of Truth to see through solid walls. Think about what neat advantages your magical item has over regular items. What are its strengths and weaknesses? 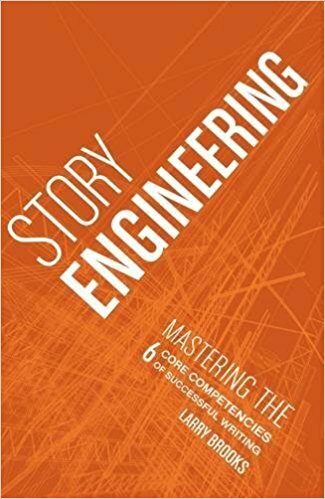 Put it to use by creating situations that illustrate that. Play with what your character can do with it. Don't let it be used generically. Back to Fix-it Felix. Only his special hammer can fix things in his game. So it has advantages. But its disadvantage is that it only fixes things, so when he tries to break out of jail, he can't because his tool can't break anything. Now you know some way to take the items in your story to the next level. It's unrealistic to make every item in a story special, of course, but some items should be. So go back to your story and brainstorm some awesome items, situations to use those items, and how to enrich the items you already have in it. I watched some when I was a pre-teen and early teen and then didn't watch anything new for about 10 years until Fullmetal Alchemist Brotherhood this year, I would just repeat Trigun and Escaflowne. But we DID talk about Trigun. I distinctly remember you saying you didn't like how Vash was such a pacifist, and I did. haha. I've seen some anime, and I'm a die-hard for a couple, but I've got nothing on real legit anime fans these days. lol well, Vash is awesome. :) One you might like is Cowboy Bebop? Not too sure if it's for you, but I think you'd have fun with it. It's also my fav anime of all time. Only one season too. Short and sweet. How I feel most TV series don't know how to do these days. If something is successful, they keep milking it, running the story into the ground. This was awesome. 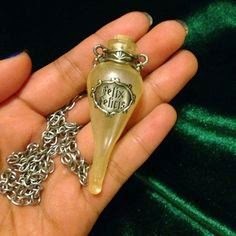 I feel like most items that the characters in books care about are tiny trinkets, or some weapon that that was passed down. But it's never really fleshed out the way that you showed here. And yes, anything mundane must become badass at some point, especially clothes. 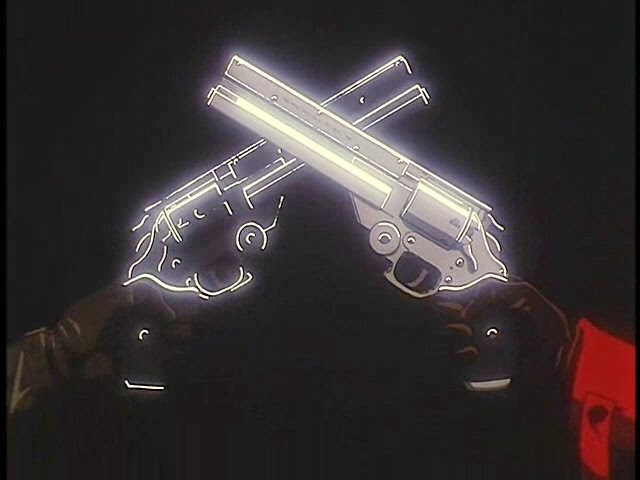 And you mentioned Trigun, nuff said. Glad you liked the post, and thanks for commenting.